There is a puddle of water oozing out from underneath the kitchen sink. The ice cream is melting in the freezer. The clothes are sitting in a bath of sudsy water in the washing machine and the machine refuses to spin. What do you do? Most people would try to find a reliable appliance repair company in Monterey County/San Benito County. That is an appropriate choice, but how do you pick from a large number of appliance repair companies and know that you have made a good choice? It is important to know who is reliable, economical, honest, or capable when it comes time to choose an appliance repair company in Monterey County/San Benito County. Follow the guidelines below and your search for a reliable appliance company will be far easier with a much higher chance for success. Though it may be critically important to save the bacon and ice cream in your freezer, making a quick decision on an appliance repair company could end up costing you much more than the cost of the contents in your refrigerator. Overall, taking your time and choosing a reliable appliance repair company could save you money in the end. Even if you get names from friends or realtors, it is still important to do your own research. There are great sites online that have rates and reviews from customers just like yourself for appliance repair companies. These sites are invaluable resources so use them to give yourself an edge when making a final selection of the best appliance repair company for you. Though you don’t have to sell your house just because your refrigerator stopped working properly, most realtor firms have repair companies on a retainer. This means they are likely to know the best ones in the area. Think about hiring a Diamond Certified appliance repair company in Monterey County/San Benito County. All appliance repair companies that have earned Diamond Certified have passed a rigorous ratings process, including license verification and interviews of a random sample of actual customers. Before you make a single phone call, ask your neighbors, family members, friends, or anyone in the area who might be able to give you information regarding local appliance repair companies. People are not shy about reporting bad service. However, if they have high praise for noteworthy service from a particular appliance repair company, there is a good chance the repair company of choice will do well for you too. Once you have narrowed down your selection to just a few appliance repair companies in Monterey County/San Benito County, including the smaller cities of Blanco, Bradley, Carmel Valley Village, Las Lomas, Moss Landing, Old Hilltown, Tres Pinos, and Sycamore Flat, follow these guidelines for make a final choice of the right one for you. Be sure to ask local appliance repair companies of choice whether they accept credit cards, even if you don’t intend to use one. Companies must go through a thorough background check before they are allowed to accept credit cards as payment. Be sure to ask how well-trained a company’s technicians are. The appliance repair company should be able to give you information regarding training and certification. A quality appliance repair company should guarantee all work in writing. Be sure to ask how long the guarantee or warranty lasts. If a company is bonded, this means that they have state controlled funds that are available of a consumer makes a claim against them. If they are insured, this means that their technicians are covered in case of an injury to a person or property while the technicians are on the job. Be sure the appliance repair company has been in business for at least three years or more. The length of time is often a good indicator of the quality of their work. It’s important that you don’t go with simply the cheapest company. You never know why they offer the lowest price. Quality work is worth the extra cost. However, you shouldn’t have to pay the highest price, either. Ask good questions. Find the best combination of experience, knowledge, and price. Are Repairs Done by the Owner? Smaller repair companies that are trying to grow their business often provide superior repair work. Quality appliance repair companies that are truthful, hard working people don’t need gimmicks. Don’t fall for a marketing offer that claims no-risk or no service fee. If a person comes to your home, looks at your appliance, and gives you advice from experience and knowledge, they deserve to be paid for a job well-done. Stick with reputable companies that don’t rely on gimmicks to get customers. A quality company will have a list of references available if you request them. Why Trust Diamond Certified Appliance Repair Companies Rated Highest in Quality? A home appliance repair technician fixes a clothes dryer. 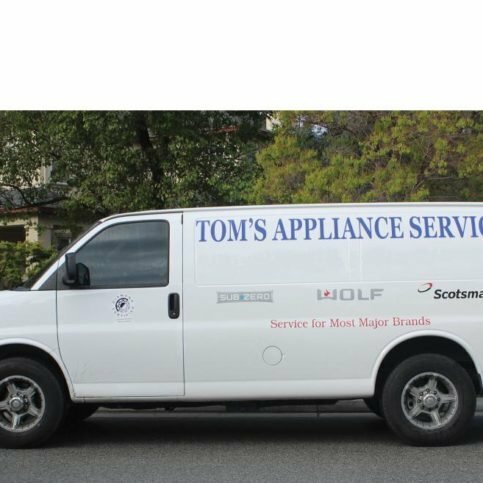 Tom’s Appliance Service sends a stocked service van to every job. You want to consider several different factors before choosing an appliance repair company in Monterey County/San Benito County. First of all, you want to make sure that your appliance repair contractor meets your specific needs. In order to ensure this happens, write down everything that is important to you. Then be sure to research carefully in order to make the best choice for you. Below are several questions to consider before you make your final choice regarding an appliance repair company. What type of appliance needs repaired? Is it possible that it would be more cost effective to purchase a new appliance? How many appliance repairs has your appliance repair company completed in Monterey County/San Benito County? Does your appliance repair company have any references that I may check? What training do your service personnel have? How does your appliance repair company price repair services in Monterey County/San Benito County, including the larger cities of Salinas, Seaside, Monterey, Soledad, Marina, and Hollister 7? How long will I have to wait for my appliance to be repaired? What types of warrantees or guarantees are available on my repaired appliance? It’s best to select a Diamond Certified appliance repair company because all certified companies have passed an in-depth ratings process that most other companies can’t pass. If you want quality from an appliance repair company in Monterey County/San Benito County and the greater Bay Area, you can have confidence choosing a Diamond Certified company. Diamond Certified reports are available online for all certified companies. And you’ll never be fooled by fake reviews. That’s because all research is performed in live telephone interviews of actual customers. If you can’t find a Diamond Certified appliance repair company within reach in Monterey County/San Benito County, you’ll have to do some research on your own. If you do, it’s wise to call some references provided by your appliance repair company. Keep in mind, though, that references provided to you by the appliance repair company are not equal in value to the large random sample of customers surveyed during the Diamond Certified ratings process. That’s because references given to customers from companies are cherry-picked instead of randomly selected from all their customers. So the representatives will likely give you a few customers to call that they know are satisfied. What type of appliance did you have repaired? Did the appliance repair company representative act and appear professional? Were you satisfied with the service from the (appliance repair company name)? If you need an appliance repaired in the future, will you consider going back to this appliance repair company? Was the appliance repair company overpriced or reasonable? Did the appliance repairman show up on time? Would you recommend this appliance repair company to your family and friends? Before deciding on the best appliance repair company in Monterey County/San Benito County for you, it’s important to consider the following questions. Is my appliance repair company of choice well-established in the community with a good reputation? Does my appliance repair company have good references that I have checked? Which appliance repair company in Monterey County/San Benito County, including the smaller cities of Big Sur, Bolsa Knolls, Carmel Highlands, Confederate Corners, Fort Romie, Paicines, Robles Del Rio, and Wunpost, offers the better warranty for the price? Is my appliance repair company charging a reasonable price for quality repair work? When do I need to have my appliance repaired? After you have found a local appliance repair company in Monterey County/San Benito County that meets your needs the best, it’s the perfect time to ask for a written contract. This contract should include several details: the cost of the repair, the cost of labor, the appliance being repaired, the warranty or guarantee, and the date of the repair. Be sure you understand the terms and limitations before you sign the contract. Because it protects both your interests as well as the interests of the appliance repair company, you want to make sure that it fully covers all aspects. It is important that you never sign an incomplete estimate or a blank contract. If you have verbal agreements or special requests with the appliance repair company in Monterey County/San Benito County, including the larger cities of Salinas, Seaside, Monterey, Soledad, Marina, and Hollister 7, be sure to write these agreements in. This ensures that you will get the service that you expect. Also make sure to include any related issues. For example, how will the appliance repair company handle unexpected damages? Once you have reached an agreement with the appliance repair company, both parties should sign and date the contract. Be sure that the appliance repair company representative has a phone number where they can reach you at all times. 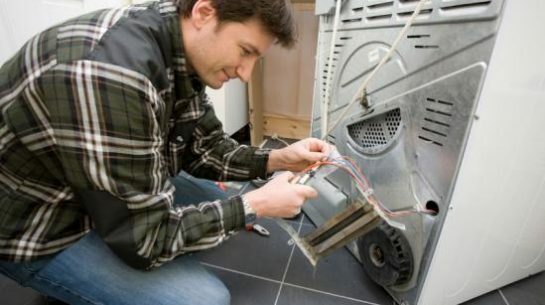 It’s the appliance repair company’s responsibility to repair your appliances. But you play a big part in the success of your appliance repair company, too. Here are a few simple steps you can take to be a good customer when hiring a Monterey County/San Benito County appliance repair company. Ask your appliance repair company representative if you should call to check on the progress or if he will call you with updates regarding the delivery of your new appliances. Be sure your service representative has a phone number where they can reach you at all times while they’re working with you. The work will move along more smoothly if your appliance repair company representative can reach you for any necessary updates or questions. When your appliance repair company representative contacts you, return calls quickly to keep the appliance repair company’s work on schedule. Be clear and upfront with the appliance repair company representative. Let them know what you want from your appliance repair company, the long-term outcome you’re expecting and specific ways they can satisfy your expectations. Pay for the appliance repair company’s work promptly. Before hiring an appliance repair company in Monterey County/San Benito County, restate your expectations and goals, and reiterate to the appliance repair company representative your understanding of the agreement. Most problems with local appliance repair companies occur because of a breakdown in communication. By being clear about your expectations and theirs, you can avoid most conflicts. What the warranty covers. This should include whether the appliance repair company will replace or repair faulty parts. Any exclusions must be explicitly stated. Your responsibility in case of a problem with the appliance that has been repaired by the appliance repair company and what you need to do in order to redeem the warranty. If the warranty on the appliance is transferrable in the event that you sell the appliance or the home where the appliance is installed. Appliance repair companies in Monterey County/San Benito County repair all types of appliances. The following are the most familiar requests from local appliance repair companies in Monterey County/San Benito County, including the larger cities of Salinas, Seaside, Monterey, Soledad, Marina, and Hollister 7. This is the repair of a household appliance that is used to wash clothes, linens, etc. This is the repair of a household appliance that dries clothes that are wet from washing. The clothes dryer spins wet clothes inside a cylinder with heated air. This is the repair of a household machine that is used for automatically washing dishes. This is the repair of a large machine that accomplishes routine housekeeping tasks such as cooking, food preservation, or laundry. Major appliances use an energy input for their operation rather than water or natural gas. They are larger, complicated to move, and usually fixed in place to a great extent. This is the repair of an enclosed compartment that is specially used for cooking and heating food. This is repairing an oven that has a fan that shortens the cooking time compared to a conventional oven. A convection oven circulates hot air uniformly around the food. This is the repair of a kitchen appliance that is used for disposing of garbage. This is the repair of small home appliances that are semi-portable or portable. Small appliances are often used on tabletops or countertops. This is the repair of an upright freezer storage unit that looks similar to an oversized refrigerator unit. Usually, an upright freezer has one or two doors that open and allow entrance to the interior. An upright freezer is more convenient than a chest freezer because the items inside are more accessible. This is the repair of an appliance that is kept cool by artificial measures and used to store drink and foods. There are many brands on the market for appliances. Below is a list of popular appliance companies that have a good reputation and have experienced great success. Below are key appliance repair company terms and descriptions that will help you navigate your way through your appliance repair company experience from beginning to end. This is a reference to installing a major appliance which is a large machine that accomplishes routine housekeeping tasks such as cooking, food preservation, or laundry. Major appliances use an energy input for their operation rather than water or natural gas. They are larger, complicated to move, and usually fixed in place to a great extent. This is a reference to figuring out the reason that an appliance is broken. This is repairing a commercial appliance which is a device or instrument that is designed to perform a specific function such as an electrical device for commercial purposes. This is the repair of a home air conditioner which is a system that is used in homes to keep air cool and dry by removing heat from the indoor air. This is a reference to parts that are needed to repair a home appliance. Home appliances are appliances that are used in a home. This includes major appliances such as refrigerators, washing machines, and dishwashers, as well as small appliances such as blenders, bread machines, and coffee makers. This is the repair of a home appliance which is a device or instrument that is designed to perform a specific function such as an electrical device for purposes within a home setting. This is the setup of a home appliance which is a device or instrument that is designed to perform a specific function such as an electrical device for purposes within a home setting. This is the repair of an appliance often included in electric refrigerators that makes ice cubes. This is the repair of a microwave. A microwave uses electromagnetic waves to cook, warm, or thaw food. The electromagnetic waves cause water molecules in the foods to vibrate. This is the repair of stoves/ranges. Stoves and ranges are used for cooking or heating. They operate by using electricity or burning fuel. This is the repair of a vacuum cleaner which is an electrical apparatus that collects dust and small particles from floors and other surfaces by means of suction. Q: Why choose a Diamond Certified appliance repair company? A: Diamond Certified helps you choose an appliance repair company with confidence by offering a list of top-rated local companies who have passed the country’s most in-depth rating process. Only appliance repair companies rated Highest in Quality earn the prestigious Diamond Certified award. Most companies can’t pass the ratings. American Ratings Corporation also monitors every Diamond Certified company with ongoing research and ratings. And your purchase is backed by the Diamond Certified Performance Guarantee. So you’ll feel confident choosing a Diamond Certified appliance repair company. Q: What appliance brands will an appliance repair company service? A: Most small appliance repair companies work with both well-known brands such as GE, Frigidaire, Subzero, Viking, LG, Maytag, Whirlpool, Kitchen Aid, Thermador, Bosch, Wolf and Asko. They also service brands that aren’t as well-known. Q: Does an appliance repair company charge to come to my house? A: Many appliance repair companies do charge a small service fee, but it is often waived with a repair. You can request a quote from the appliance repair company before the service begins so there are no surprises. Q: What if the appliance repair company can’t diagnose the problem? A: If the appliance repair company is unable to come up with a positive diagnosis, they will not usually charge for the service call. Q: Will a appliance repair company do a cut-rate repair? A: A quality appliance repair company will not take shortcuts or use low-quality parts, even if the customer requests it as a method of cutting costs. A good appliance repair company backs up and guarantees their work. Q: My refrigerator isn’t cooling. Could it be low on refrigerant? A: Though many people figure a refrigerator that isn’t cooling is low on Freon, this isn’t the normal explanation. A quality appliance repair company can come out , check your refrigerator, and give an honest, accurate diagnosis. Q: Do small appliance repair company deliver and install appliances? A: Many appliance repair companies also offer free local delivery as well as installation on free-standing appliances. Q: Does an appliance repair company service the appliances they sell? A: Most household appliance repair companies service the brands of appliances that they carry. Q: Can an appliance repair company service appliances that weren’t purchased from their store? A: Most appliance repair companies can repair any brands that they carry, regardless of whether or not that particular appliance was purchased in their store. Q: Does an appliance repair company offer warranties? A: Most all home appliances come with standard factory warranties. Many appliance repair companies also offer an extended warranty on most appliances. Q: How quickly can an appliance repair company get parts? A: Most home appliance repair companies can get parts immediately. 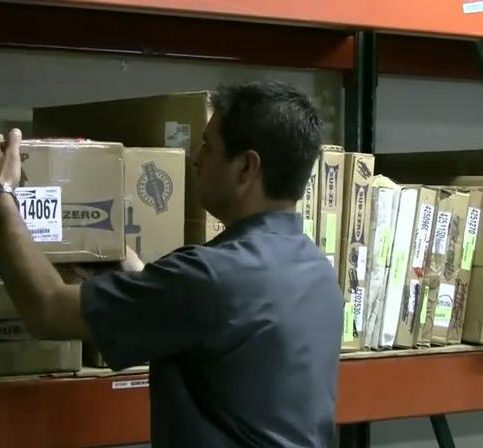 They usually have a large inventory in their trucks; however, if they do not have a part in stock, they can usually get them within a day or two. Q: How quickly can I schedule a service call with an appliance repair company? A: Many appliance repair companies can come out the same day. Sometimes it may take a day or two. Q: Can I trust appliance repairmen from good appliance repair centers in my home? A: The workers from the best appliance repair companies are professional, clean, courteous, and trustworthy. They often wear uniforms and have scrubs to protect your floors, though they can also wear booties if you’d prefer. They have everything you need such as latex gloves, dust masks, vacuums, ladders, and tools.